Deedenow Cinema Production Afghanistan: No more shhhhhhhhhhhhhes! No more censorship! No more shhhhhhhhhhhhhes! No more censorship! Media serves as the eyes of the people; do not blindfold the people! I write this because I no longer want to keep quiet about threats, violence and intimidation practiced against journalists in Afghanistan. We Afghans have a proverb that says, “Keep quiet until the knife reaches the bone.” The knife has reached my bone; I no longer want to conceal the censorship that journalists and media activists face in Afghanistan. I was a victim of these threats when I worked at Ariana Television Network in Kabul. I left my job as a program host and producer in 2005, keeping quiet about the intimidation but working behind-the-scenes to promote freedom of speech in the media. The free press is as necessary as oxygen for the suffering people of my land. It is their civic right to be informed. 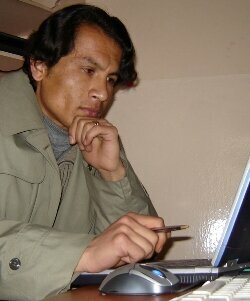 Reports show that the number of threats and attacks on media activists in Afghanistan has grown annually since 2005. Below is an overview of threats and violence against members of the media in Afghanistan. A few months ago after broadcasting Afghanistan Attorney General’s interview, Tolo TV was surrounded by some two hundred policemen ordered by the Attorney General for why they have misinterpreted his interview. They arrested some of Tolo TV Senior Staff including broadcast director for some hours and then released after beating them up. Later on there were many public objections by the people to this misbehavior of Attorney General. Recent deadly incidents include the murders of female radio journalist Zakia Zaki in Parwan Province on June 6 2007, and Shamshad TV anchor Shekiba Sanga Amaj at her home May 31, 2007. In both cases the perpetrators are unknown. Another journalist, Ajmal Naqshbandi, originally kidnapped along with Italian journalist Daniele Mastrogiacomo, was killed by the Taliban on April 8, 2007 after 40 days in captivity. Mastrogiacomo was released after the Afghan government released two Taliban prisoners under pressure from the Italian and possibly the US governments. The Afghan government refused to negotiate with the Taliban on behalf of the Afghan journalist. The statistics and the reports show that the serious threats and attacks on media activists in Afghanistan are increasingly growing annually since 2005. Ali Mohaqiq Nasab, a writer and secular clergyman, was sentenced to two years in prison in Oct 2005 for his writings about Islamic theory. Meer Hossain Mahdavi, another print journalist, was condemned to death for his article “The Holy Fascists.” The article was an overview of the Islamic Empire from its origins to the present.. Mahdavi was released after international media organizations pressured government officials. Media and media activists, seeking acceptance as the fourth pillar of the emerging democracy in Afghanistan, are instead being suppressed by pressure from both the government and armed anti-government groups. Bullying currently being directed at the Afghan media has many causes. Five dark years of Taliban rule weakened the role of women in all areas of society. For three years various injustices have been committed against members of the media, beginning with the case of Meer Hussain Mahdawi. Then, there was the May 18, 2005 killing of television anchor Shaima Rezayee, who was the first modern female TV anchor for music shows in Afghanistan. Extremists and fundamentalists, fearing the influence of Western culture on traditional Islamic values, have reacted against the media outlets they perceive to be sources of Western propaganda. Threats of violence have led two television video jockeys, Shekaib Isar and Jamshid Matin, to flee the country. Their modern style included bright clothing and different haircuts, having fun and making jokes on camera. Their cheerful personas and popularity with the youth made them a target of conservative Islamists, who feared any Western influence. They fled Afghanistan, but hold a special place in the hearts of many as pioneers of the free media in Afghanistan. Afghan media transitioned from a tool and propaganda machine for the newly formed national government to an institution willing to challenge that government. Following the example of the Western media, Afghan journalists sought to expose corruption in the system and administration of the government. Their new direction and openness to Western influence made them enemies inside and outside the government. However, as the new independent TV and radio programs rapidly grew in popularity, Some of Afghanistan’s leaders felt threatened by the freely-speaking media and began to force limitations upon it—with laws and beyond the laws through secret threats and anonymous violence. They thought maybe their power would be diminished. They wanted to be the primary power, because they benefited from an uninformed population. Not only the executive branch of the government, but sometimes the parliament also had misbehaviors against the journalists. Since Zang-e Khatar (danger alarm) a popular satire show on Tolo TV broadcasted some videos of MPs sleeping in plenary session of the parliament, it increased the anger of the legislatures thereafter some of the journalists were beaten up by the MPs body guards and or Parliamentary security forces. Afghan media have also served as propagandists and publicity outlets for armed opposition groups and terrorists. Since 2005, almost every television and radio station in the country has allocated airtime to coverage of Taliban attacks. This coverage has empowered the Taliban and damaged the public’s confidence in the strength of their government. While the number of media outlets in the country is increasing, the government does not promise them safety. Journalists and other members of Afghanistan’s media have struggled and gained experience through five years of ups and downs. This is where the real work begins for the Afghan media, if they dare to step forward firmly and without fear. They are the eyes of the people, and the people know this. Hopefully one day the government and antigovernment groups will come to know it as well. It is urgent that journalists and governments around the world know the truth about the dangerous situation of young Afghan media workers, and speak out on their behalf. امللک یومئذ لله یحکم بینهم فالذین امنوا و عملوالصلحت فی جنت النعیم. Allah (Jallejalalahu) has created every one with sense and wisdom. Use your wisdom and mind for the will of Allah (Jallejalalahu). All the mortal propagandas and conversion activities done by the KUFARS are faced with defeat and failure. Allah (Jallejalalahu) gives you success and everlasting prosperity. The misled Korean converters who deserve only and only death are the clear examples. It is never late to change mind towards Islam. It is never late for (Toba) for bad works you did in the past. Allah (Jallejalalahu) witnesses and controls what every single creature does. So, you had no response to our previous invitations. But you are again invited to join Islam and to write for the favor of Islam. You have many chances of invitation and joining. It is our responsibility to invite people who are namely Muslims to the real Islam. We will be trying our best to bring you to the right path. Islam tells us to first show Kufuars right way with a good and proper logic and keep it continued till he/she comes to the right path, otherwise Allah (Jallejalalahu) has given us always the option of Jihad. There is still time, any time to bring EMAAN to the real Islam, but delaying may cause anger of Allah (Jallejalalahu). Keep in mind Allah (Jallejalalahu) punishes the followers of the wrong ways directly and indirectly and also those who support them directly or indirectly. Always remember that the only supporter of you is Allah (Jallejalalahu) and try to listen to your heart not to the KUFARS and what you write are all told to you by KUFARS not yourself! Your support lies with us and you have no other way except to come back home to the family of Islam. You know that those who were misled will be found in the hell and in fire in the day of resurrection. Go home, pray five times a day, wash your mind, recite the Holy Quran , give your Zakaasts and start writing for the favor of Islam. Why wasting your energy and ability for the wrong paths and wrong purposes you follow?!! They are your basic homework. We will see change in your activities Inshaallah! To You stoned minded man! Could you just shut your mouth please? I am sure there is a devil lying beneath every hair on your face (breads) which encourages you to write actually satanic words not Islamic words. Who told you that I am not a Muslim?! I am a real Muslim even better than you and your colleagues and friends. You are so cowards; you have no logic and no courage! I know your eyes are totally blind, and you are told to say and write these words against the journalists, it is not your own view. Because I am sure you do not have brain to think with, you are just like a horse having blinders in your eyes just seeing the wrong things which are shown to you by your bosses. I am sure you your self will one day go to the hell, because of the satanic and wrong ideas you have, because of the beard you grow and because of the threats you send to the innocent people who are pure and real Muslims. Do not send me any more these pieces of wrong instructions OK!!! Do your own work and do not disturb me any more!!! I will always write about the truth, nothing against Islam, about the reality and the democracy which is already defined in Islam. You know nothing about Islam, it is better for you to have a deep study of the real Islam not the fake one you believe in now!!! I am sure Allah supports the real Muslims and therefore I am not afraid of anything, because I am already a real Muslim and it is my challenge to the fake Muslims as you!!! God welling and hopefully you will go to the hell and your satanic beards will burn there! After all these and our too much effort to lead you towards the right path, it seems to us that you are a blid minded person and devil has captured your mind and heart and you will not be comings back to right path. Not only this but also it seems to us that you are also trying to mislead other true muslim. After accepting to go away from Afghanistan you have proved that you have also Joined Kufars. You have gone towards the world of the western Kufars and adopted their Kufr. You should know that Mujahids have also sympathy in their heart, therefore once again we tell you, please for Allah (Jalajallaho)sack come back to the right path, the path of prosperity and eternity. If you will still be choosing the way of Kufars then take our word that never return to Afghanistan, if you come then in advance dig your grave, because Afghanistan's soil never liked kufars. History has proven that any kufar tried to capture Afghanistan have faced the darkness, failure and hell. You are forgetting that Payame Haq is something which do not end with people's life, each time if one who trys to present the Payame Haq and he sacrifices himself for Haq for reality and truth which is Islam and Jihad, another one takes birth and continues to present what is called Haq. site effects on you, on your life, your life hereafter and even your family. You might remember that Kufars also tried to reflect a bad image of Prophet Mohammad (PBUH), they were saying that Nauzobilllah, Mohammad is crazy and ibnormal. Can you tell me that is there any one who respects those wicked Kufars. On the other hand people bow when they recall the name of Prophet Mohammad (pbuh). He tought us in his life to live for Islam, to die for Islam and to kill for Islam, and any one who is saying that he/she is muslim and favours Kufars is called Munafiq. Mufiqeens are even worse than Muslims. They do not have any right to live. I will look your way back to Afghanistan and You will see then How Allah will punish you through his beings and through his followers. I don't care for my life, because If I die there will be other Taliban's who will follow my way and send you to the Hell. 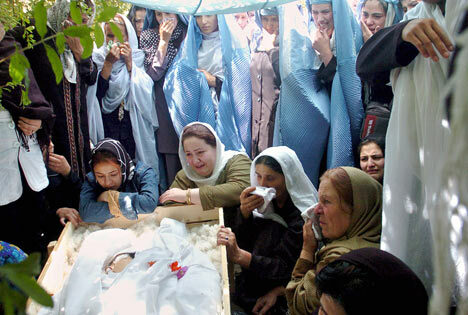 You can remember that it is more than 5 years that the whole world is trying to kill and eleminate Taliban's and you can see that every day more and more Taliban take birth and making Taliban everlasting. World forgets that Talib can die and talib can sacrifce but they will be in the heaven and the way of Taliban will remain Alive for ever and for good.